Seeing Parks live is harder to do with your eyes open than shut. Hearing him brings to mind great jazz virtuosos such as Bennie Green, Herbie Hancock and McCoy Tyner, but then you realize the notes are coming from the hands, mind and soul of a teenager! More shocking is to hear him sit in with prominent local players and fly through rapid fire chops with little uncertainty in his touch. And it’s obvious he understands the importance of playing live, having performed over 100 shows in 1999 alone, both locally and outside the Northwest. Conversing with Parks is even more interesting. At 16, Parks’ CD collection consisted of more than 800 jazz CD’s and his knowledge on the subject was extensive. He is well versed in the history of the music and its players, but knows all too well there’s still plenty more to learn. Jazz pianist Aaron S. Parks from Seattle, Washington has been featured on television, on the radio, in magazines, and in the Seattle Times’ front-page story as a promising jazz musician. He is a Clifford Brown/Stan Getz Fellow, a Yamaha Young Performing Artist, a Betty Carter Jazz Ahead Recipient, a National Grammy Ensemble participant, and a Down Beat Magazine Outstanding College Jazz Soloist. Mr. 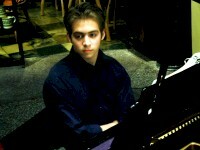 Parks is studying jazz piano and composition at the Manhattan School of Music. His trio was named the 1999 Northwest Emerging Group of the Year and was listed among Seattle’s 1999 Top Ten Noteworthy Jazz Performances. Aaron won first place in the coll ege division, Piano Soloist at the Lionel Hampton Jazz Festiva and the 5th American Jazz Piano Competition in Indiannapolis, Indiana, sponsored the American Pianists Association this past year. Aaron Parks is unique in several respects. Not only is he a college student playing deeply engaging originals and uniquely arranged standards, but the pianist/bandleader should really be a junior in high school. Instead, he skipped high school to enter the University of Washington at the age of 14. Now 17, Parks is a National Merit Scholar, a Presidential Scholar in the Arts, and a college junior in Jazz Studies at the Manhattan School of Music in New York, studying under piano great, Kenny Barron. 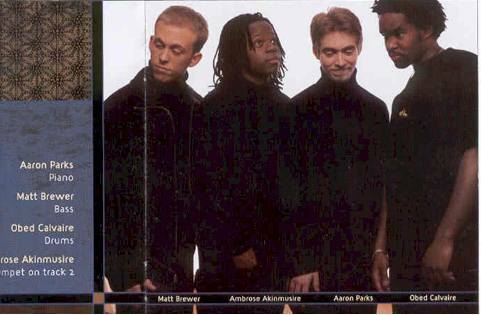 In early 2002, Aaron joined the critically acclaimed Terence Blanchard Quintet. Aaron currently has four CDs out. The Promise, features two of Parks’ original compositions — “Early Entry” and “Double Tall Latte” — plus creative arrangements of jazz standards such as “Well You Needn’t,” “The Promise,” “Footprints,” “Autumn Leaves,” “It Could Happen to You,” and others. First Romance is a collection of mostly live performances around the Seattle area, with originals “First Romance” and “The Wizard” and great standards such as “Oleo,” “Beatrice,” and “All the Things You Are.” Aaron’s third album, The Wizard, was recorded with a quartet of emerging and established musicians and contains all original compositions. 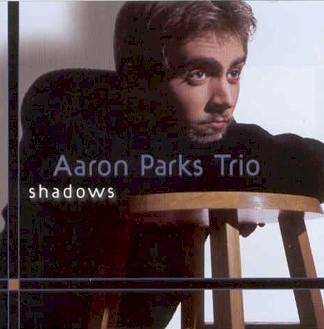 His newest CD, Shadows, released in February, 2002, includes five original compositions as well as jazz standards “Solar, “Alone Together,” and the Radiohead tune, “Knives Out.” Aaron’s four albums are all available on KeynoteRecords.com and on Amazon.com. Aaron performs internationally with the Terence Blanchard Quintet and with his own groups. 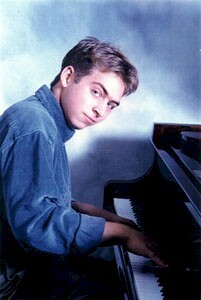 For more information about Aaron Parks, please visit our website at KeynoteRecords.com. For booking information, please contact Judie Stein at 917.685.7107 or judie@keynoterecords.com. For information about performances with the Terence Blanchard Quintet, please visit www.TerenceBlanchard.com.